When The Revolution Could Not Be Televised, Moshito 2016 is all about the here, now, and relevant…revisited. After a successful run with last year’s ambassadors, kwela legend Lemmy “Special” Mabaso and hip hop grandmaster Emile YX?, the faces of Moshito 2016 are proof that the South African creative industry is vast and varied. Enter to centre stage Rodger Lucey and Gigi LaMayne, the brand new ambassadors for Moshito 2016! This unlikely pairing is just the kind of fusion that shows off the diversity of Mzansi’s lekker richness and how arts unite all in their diversity. Lucey, 62, is a musician, journalist, film maker, actor and educator. During the late 1970s and early 1980s his career as a musician was brutally curtailed by the South African Bureau of State Security as a result of Lucey’s protest songs being considered a “threat to the Apartheid State”. Although the Government was already aware of his anti-apartheid songs, the South African security apparatus only swung into action to wipe out Lucey’s career after he performed his “radical” songs, Lungile Tabalaza, Cross Roads [Blogger could not find Crossroads but did find "The Road is much longer"] and Thabane, on the Voice of America radio programme in 1979. His young counterpart on Moshito, LaMayne, is a new generation female emcee who stormed her way into the male-dominated genre with the sassy song Ice Cream. Previously a struggling unsigned artist, Lamayne now sits pretty in the company of giant fellow stablemates Khuli Chana, Thembi Seete, Ms Cosmo, MuzArt, and Major League DJz among other big names under Dream Team SA. Her career is barely out of its infancy stage, and already she is a four time South African Hip Hop Awards winner, winning Best Female for two consecutive years (2013 and 2015), as well as winning Best Mixtape and Best Newcomer in 2013 and the Jack Daniels hip-hop competition in 2014. Moshito has been made possible by the solidified long term financial support of the Department of Arts and Culture, the SABC and the City of Joburg, thus establishing itself as not only South Africa’s biggest Music Conference and Exhibition but also as Africa’s premiere music industry event. Its purpose is to broaden the business intelligence of the music industry professionals in South Africa and the Continent, strengthen business networks for participants and inform delegates, traders and the public about the multifaceted and dynamic nature of the global music industry and its latest trends. 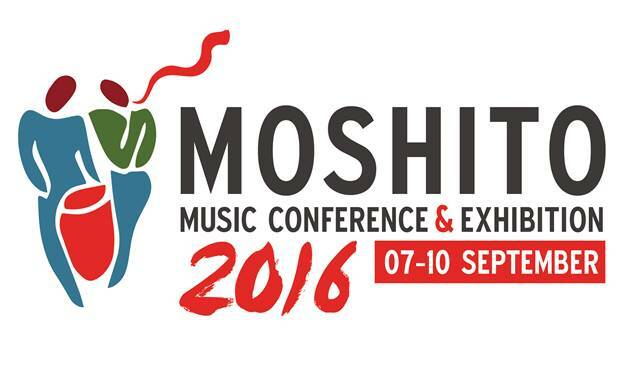 Moshito Music Conference and Exhibition will take place from 7-10 September 2016 at the SABC Radio Park in Auckland Park.